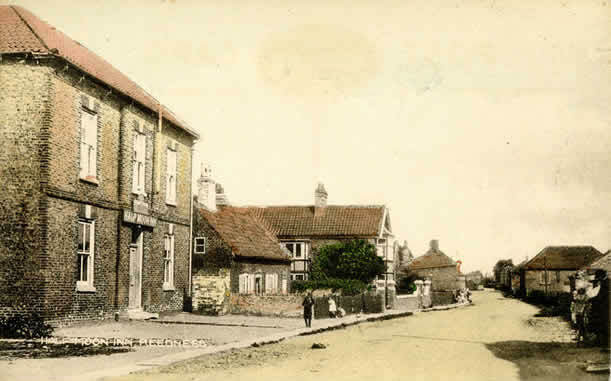 Then we had the Half Moon Inn, with a scattering of houses behind it and a right of way to the river. The pub was a dreary place, smelling of beer, with brown walls and, in fact, brown everything from cigarette smoke, and having no toilets, only an open Gents built on to the front of the building. Still, on Fridays and Saturdays it was full – there was a singing room with a piano and people also came to play darts, dominos and, round the back, Quoits. The Sick and Dividing Club also met at the Half Moon on Friday evenings. Ladies, however, did not go into pubs in Reedness at that time.